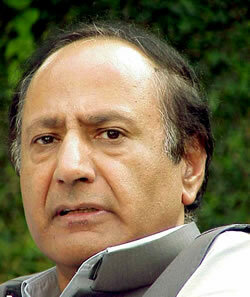 Pakistan Muslim League Q President Ch Shujaat Hussain has shown desire to become Caretaker Prime Minister of Pakistan. While talking to media on Wednesday Ch Shujaat Hussain said that i should be nominated the caretaker Prime Minister. Assemblies are going to be dissolved on 16th march after completing their 5 years and name of Caretaker PM is not yet announced by the ruling party PPP. PPP Leadership says the name will be announced once Assemblies are dissolved. Caretaker Government will stay for two months until the elections takes place and new Government comes in power.